The highest paid player in the world, Carlos Tevez has said that Messi’s latest contract issues with Barcelona are not about money. 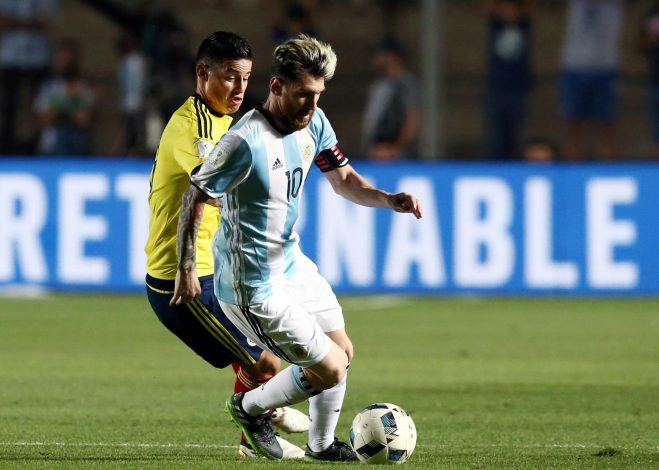 The Argentine forward claims Messi will only trade Barcelona for Newell’s Old Boys. Messi’s current Barca contract runs till 2018, and he is reported to have a rejected a contract extension offered to him in July. Furthermore, La Liga’s regulations prevent the Catalan club from offering the 29-year-old a huge contract, and this has raised speculation about Messi’s future. Messi has at times also spoken about his desire to return to Argentina. He was at Newell’s Old Boys before being snapped up by Barca in 2001. Enjoying unmatched success with the Spanish giants, it’s unlikely he will leave, according to Carlos Tevez. “It’s difficult to have a long relationship such as the one Barcelona and Messi have had, and I don’t think he will leave. The day he does, I think he it will only be so he can go home to join Newell’s Old Boys – but it’s a personal decision for him,” the 32-year old was reported as saying. Tevez himself is reportedly the highest paid footballer in the world now. He recently joined cash-rich Chinese Super League team Shanghai Shenhua. The former Juventus man had returned to boyhood club Boca Juniors before China lured him. He insists this move was for sporting reasons, though.